It's been an almost distractingly long time since I've posted. In my defense, I do have an excuse. Or several excuses (I learned to always have backups through my teenage years). Mostly I was busy procrastinating, putting off procrastinating, telling myself I wasn't anxious when I was, hoping that things would turn out the way they were supposed to, planning and packing. That's pretty much what I do for any international flight, and probably why I haven't been better about getting my passport stamped in the last four years, but that was changing this year, I was determined. Or at least determined to procrastinate about it. 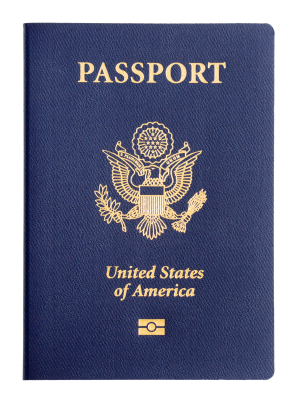 Before I even delve into the specifics of what you'll need FOR your trip, before you can even PLAN your trip, don't forget to either get a passport or renew your passport for international travel. The looming expiration date (2013) of mine is part of what pushed me to travel one last time with this little guy. The internet is a playground for bargain shoppers now (bless the spirit of competition amongst websites) and you can usually find pretty good deals dependent on where you look and how much time you're willing to put into the search. Also know, you'll get a million different answers to every single question you ask, or plan on asking your three different search engines, so sometimes, you just have to go with your gut. Additionally, if you search various airports around you, you might get different prices. Usually, if you're near a major airport, you'll get a better deal than if you're flying out of the airport that is simply closest to you. If you have no problem with driving or getting a shuttle to the airport that's a couple of hours away, it might be worth the 300-400 a ticket, you'd save, but the best thing about vacation is you get to decide whether you're going to budget everything or go by convenience. So, if you know you want to go somewhere next year, start looking at prices now and then track it. I ended up getting a great deal (as a single passenger) about 2 months ahead of time. Sometimes searching solo is how you'll find the best deal. Some flights may not seem like they have multiple seats available, but they are, they're just not all together, so don't forget to look for things that are both together and separate. Relax, you can always change seats when you check in if you feel it absolutely necessary to speak to each other on the plane ride. I usually just end up sleeping through everything, so any traveling buddy is pretty much solely reliant on in-flight entertainment. The bus is always the cheapest, but when I'm in a city I don't know very well, I always worry that I'll miss the stop, end up as the only passenger being driven into a darkened bus depot, and that's how horror movies begin, so I usually opt out of that. Taxis can be expensive. If you know about how far the airport you're flying in to is from the center of where you want to be, this might be the option you go for. As for me, I've done the train now at least twice and at least twice I've had adventures. I forget that sometimes what's also involved is a connection on the local metro service and what's involved in those connections are usually lots of stairs. You'll be doing stairs with luggage is what I'm attempting to reiterate here. Still it is budget-friendly and it usually means you get more quickly acquainted with your city. So if you have time and the desire to continually go downstairs immediately followed by going upstairs and want a more "immersing" (we'll go with that word choice) experience, the train is the way to go. This is true for any place you go. You shouldn't simply trust that any travel guide has a good map. You really need to get a detailed map for your city. Again, technology comes in really handy here. You can always download a map to your phone. I would suggest doing this well ahead of time. You don't want to be like me, standing on a street corner pretending you're just looking at non-existent text messages, while your map downloads. There are plenty to choose from in the I-Tunes library. Again, I was foolish and surprisingly busy before my trip, so when I attempted to make an 18 Euro purchase at the Musee D'Orsay only to come back to an email alert warning that my card had been used in Paris and wondering "was this a fraudulent purchase?" I immediately smacked my hand to my forehead and made the universal grunt of Homer Simpson. If you alert your credit card companies ahead of time, they can mark it in their system and then you don't have to worry about reassuring them that, yes, you did make the purchase of the pink Degas pen yourself. I thought I'd be fine with a rain jacket...or more like a jacket with a hood. I wasn't. Paris in the fall, apparently Paris at any time, is constantly under the threat of showers. Make sure you know what the weather is going to be like. 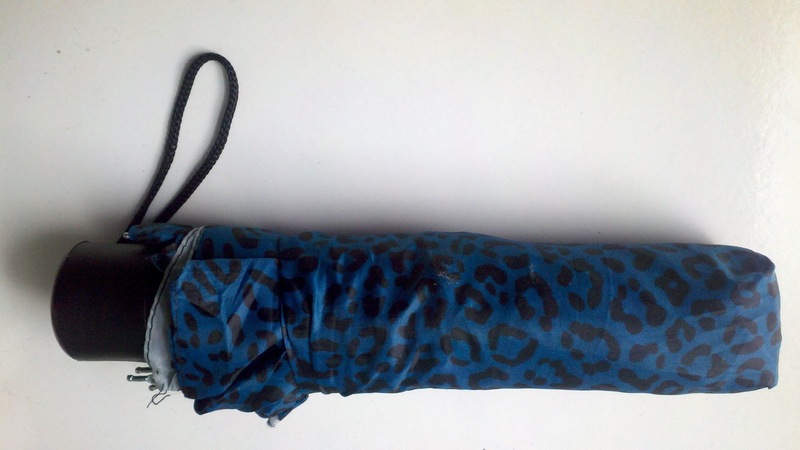 I didn't mind spending five Euros on my "Elegant" teal, leopard print umbrella though. That's an investment that is definitely worth it, should you need it. If you're looking for a way to keep in touch that won't gauge the bank, like making phone calls from the hotel might, you probably want to make a visit to your friendly, local phone carrier. They should have international plans available for all price ranges. I had neglected to do this as well, a realization the only really settled in once I had landed on foreign soil (go me!) and thought I'd be stuck. Luckily, it was once again technology to the rescue and, in a "wow there really is an app for that" moment, I found TruPhone. With Truphone, you just need to have a wi-fi friendly device (my Ipod touch came in quite handy on this trip). You can download the app and turn your Ipod touch or Ipad into a phone. Just remember these devices don't have the same speakers that actual phones have, so if you're calling from a local McDonalds you either need to have your heaphones plugged in (in which case I'm not sure you'd be able to speak BACK without removing them every time) or plan on making it a public phone call. Probably best to save the phone calls for when you're back at the hotel. Either way, it worked in a pinch and you can top up on your calling credit as needed. Very handy app to look in to. Those are just a couple of things that were pertinent to my trip, but many and better have traveled before me, so there are multiple "travel checklists" available online. Here's one that seems pretty comprehensive, just try not to get freaked out when it mentions the word "accosted". Unless you're traveling to areas that are known to be having protests or an undercurrent of an angry mob mentality, you'll be fine.